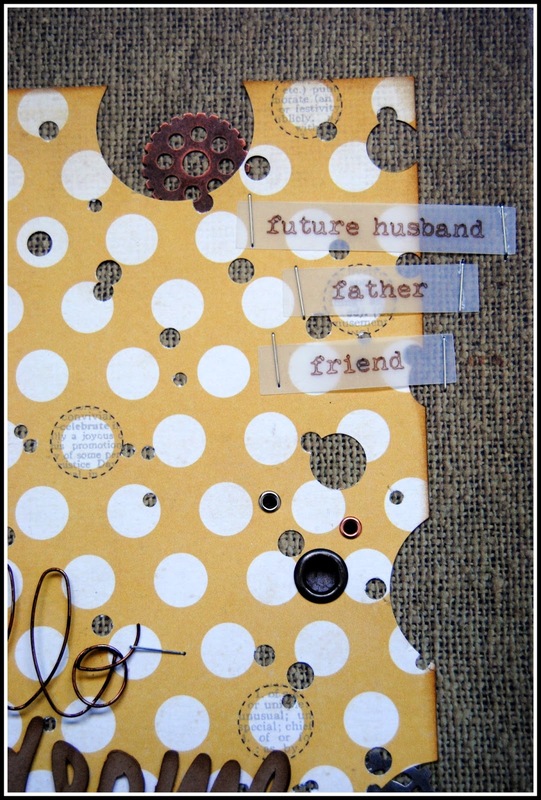 Here I am again trying to dust off my lonely little blog and bring you this weeks post for Sketch-y Friday over at Scrapmuch? My new job is keeping me pretty busy, so definitely not much time (or energy!) for crafting. Toss in a little March break (trying to keep the kiddo's happy/busy/exhausted) activity and I've got no chance really. Once I got started on this page though, I thoroughly enjoyed it. I was just surprised how long it took me to complete. For a relatively simple looking layout, this one took forever, probably because of my constant need to add more elements to the background! Anyhow, enough chit chat, let's get down to business. Awwwww isn't he cute, that handsome chappie in the photo there? My hubby aged approximately 5 or 6 I'm guessing. My girls had a little trouble recognizing him, probably due to all that hair that they're not used to seeing! Before we move on, here is this weeks wonderful Sketch provided by the ever talented Laura Whitaker. The Sketch inspired me to start randomly punching holes from my paper, but one size of hole punch wasn't enough...........no we had to go with 5 just to make sure it looked totally random! I inked the edge then added a few different sizes of metal gears. After reviewing again, I decided we needed more holes (of course!) and started to add eyelets in various sizes and metals. It was at this point I decided 'no more.....time to move on or it will never get finished"! 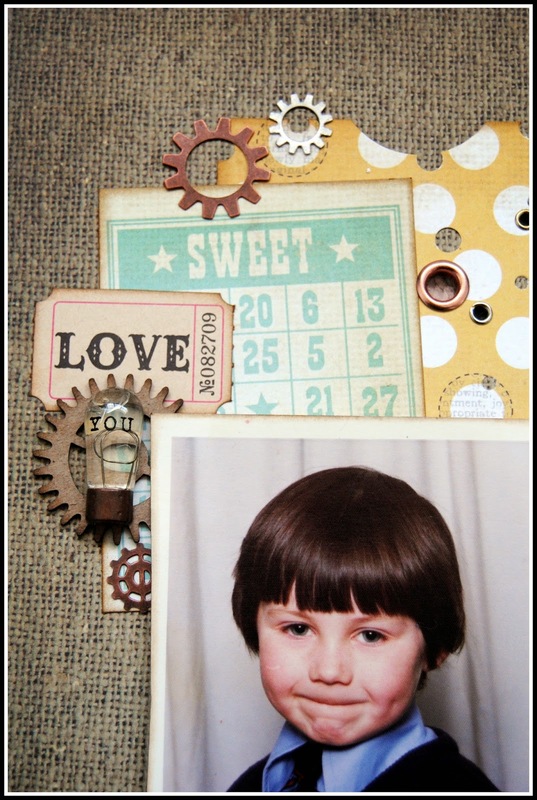 and a nice little group of grunged/vintage elements at the bottom - chipboard from Creative Embellishments (love their products! 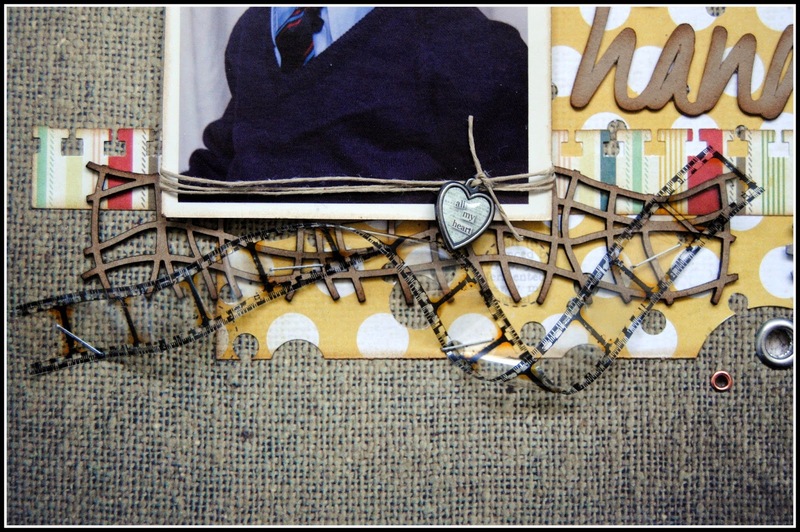 ), vintage film strip and a heart charm by Tim Holtz. Finally, the title started with a pre-made metal word from Jillibean Soup. It was originally silver coloured but I decided that looked far too clean and polished, so I set to work with a brown Copic marker and ended up with old Copper wiring - perfect! The second part of the title was cut using my Silhouette and Kraft cardstock. 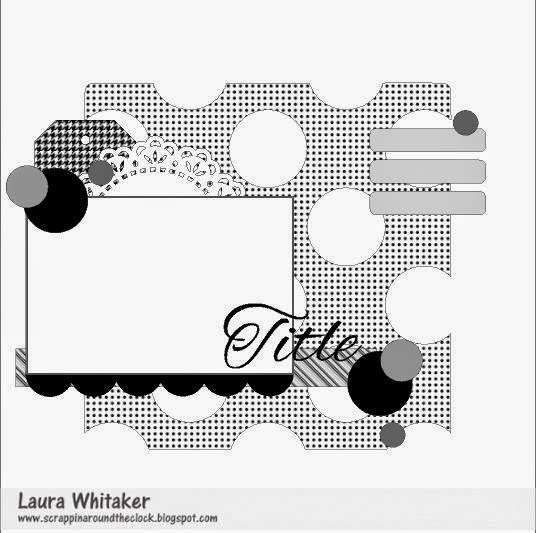 So that just about covers everything, except for the part where you now head to your craft room to create something spectacular using this weeks Sketch, then link up over on the Scrapmuch? blog to be in with a chance of winning a prize.......yes? 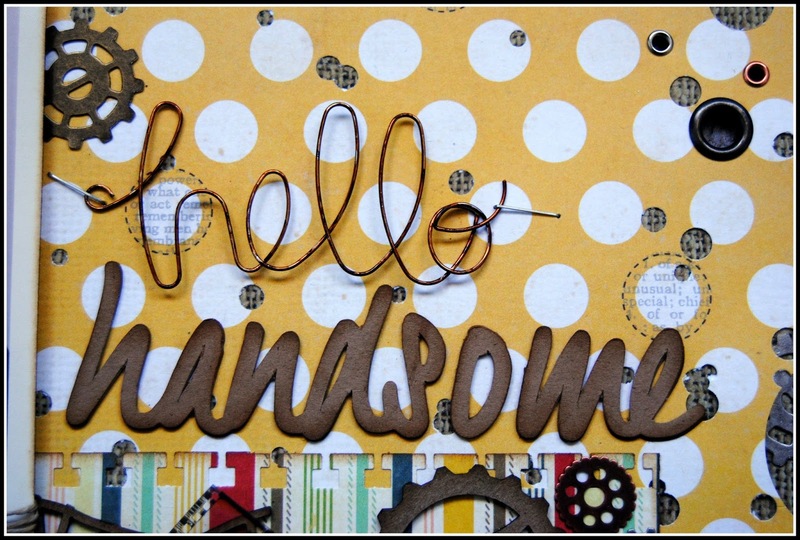 Don't forget to check out a little more inspiration provided for you by the rest of the Scrapmuch? Team, whilst you're there. I hope you have a wonderful weekend.....I'll be working (surprise, surprise!) but I'll be seeing you again next week. I have to say, this is a favourite for me! Love the holes! The girls should have recognized him, because your younger daughter looks like him. Great job! WHat a fantastic masculine page Jayne!! This is just AMAZING Jayne...I love all the details you put into a layout! Fabulous! 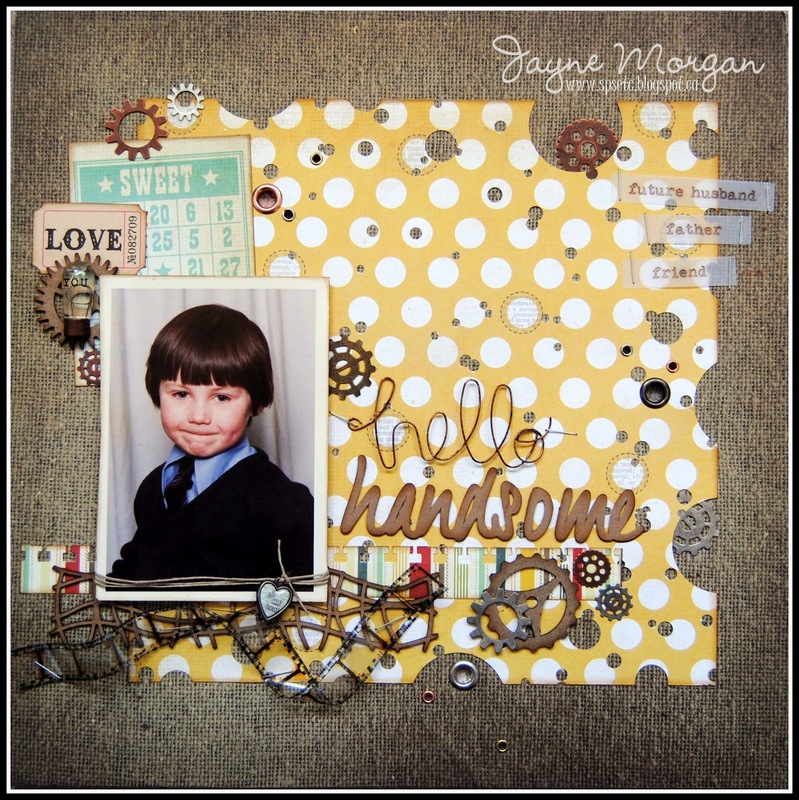 Jayne - STUNNING page and your title is fitting for your lil'guy and this layout - way-to-ROCK-the sketch! Love all your background details! Fabulous page, love all the circle details! CHAMP! I LOVE IT! You really followed the sketch very well! I love everything that is on it! Love IT allllllll! So beautiful!